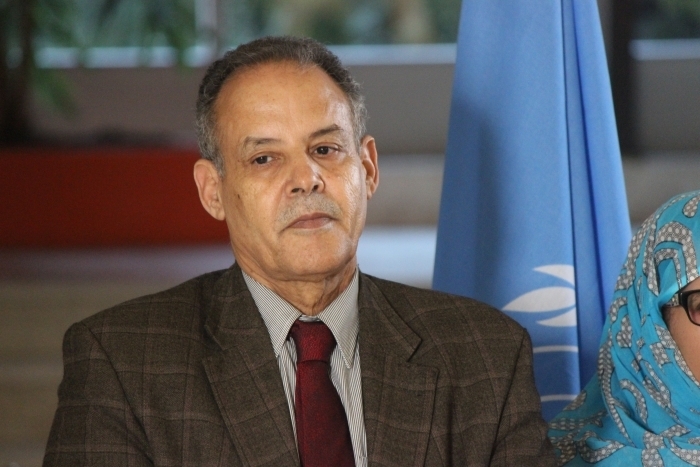 Geneva (Switzerland), December 8, 2018 (SPS) – M’hammad Khaddad , member of the National Secretariat of the Polisario Front, and member of the Sahrawi negotiating delegation in the roundtable, which concluded Thursday in Geneva, Switzerland, has said that the United States of America has shown a clear interest in finding a solution to the conflict in Western Sahara, especially since last April, and accompanied the Personal Envoy of the UN Secretary-General, Horst Koehler, in his endeavors, which created hope to reach a just solution that respects the right of the Sahrawi people to self-determination. He emphasized that the meeting, which brought together the parties to the conflict and the neighboring countries, was in accordance with UN Security Council Resolution 2440, which called on the parties to the conflict, the Polisario Front and Morocco, to initiate the negotiating process. The Saharawi official explained that the discussions in general proceeded in calm conditions and without problems, stressing that all parties have agreed that the continuation of the issue of Western Sahara without a solution impedes progress of the Arab Maghreb in the union endeavor. Regarding the upcoming meeting between the two parties, he said that all parties welcomed the call for holding a new round of talks in the first quarter of the next year.